Prayer is hard work. It’s not something that comes naturally. We go about our days, engaged in the home or workplace, distracted by good things that would keep us from prayer if we let them. Our hearts are prone to wander from God in self-reliance toward temporary pleasures, rather than running to him in dependence for the lasting joy and satisfaction only he can provide. Maybe prayer seems daunting, like a high mountain to climb; or perhaps the pace of your day doesn’t seem to allow for this time. Yet, the growth of any relationship won’t fall into our laps; we need to be intentional, trusting God will meet and help us in this time of sought communion. Forming any habit requires action. Unless I choose to rebuild my strength through physical therapy exercises, it won’t happen. Unless I choose to show up on time by leaving early, it won’t happen. Similarly, we won’t pray unless we choose to pray, despite the obstacles (and there are always obstacles!). So choose to pray. Choose a location. Choose a time of day that works best. Choose a context that will become familiar over time. Our living room couch is my chosen, consistent spot, the place I go each morning to read my Bible and pray. Of course, certain times require flexibility in our communion with God—and there’s grace for these seasons! A newborn baby, a relocation, a new job and schedule, a decline in health—these circumstances may change our context for prayer, but they needn’t change our choice to pray. We press on, no matter the season, and we choose prayer by the strength God supplies. 2. Ask God for help. Because prayer doesn’t come naturally, our hearts are wayward, and our circumstances change, we desperately need God to help us pray—and this means we need him to transform our hearts, the seat of our deepest desires. If prayer is merely something we add to our “spiritual checklist,” a joyless obligation, then we’ll pray for all the wrong reasons and never be transformed. But if God were to change our hearts, then we’d yearn for prayer because we first and foremost desire him. If you’ve been discouraged by your apathy toward prayer, hear this good news: Jesus lived and died and resurrected so your heart would be made new and your desires changed! He gave his life for your apathy and wayward desires, bearing your sin, and now he lives to intercede for you when you ask God to change your heart. So ask for his help today. He delights to give it. God has graciously spoken to us through his precious Word, and we can open our Bibles to hear from him each day. What an incredible thing, to hear from the God of the universe through words and phrases and sentences and chapters and books! What a wonder that the almighty, holy God would speak to undeserving, sinful humans like us. If prayer is responding to God’s words (he speaks; we listen, consider, and respond), then before prayer can become a habit, we need Scripture reading to become a habit. As in the last point, we can ask God for his help where Bible reading is concerned: God, give me the desire to hear from you in your Word! Our prayers will also be more focused and clear when they’re rooted in biblical truths we know we can trust because God, himself, has said so.2 The more we read our Bibles, the more inclined our hearts will be to pray in response (Psalm 119:36). Prayer can feel overwhelming. How do I know where to begin?, we ask. Choosing patterns for prayer has helped me pray more consistently and with greater intentionality. Is anyone currently asking you about your prayer life? If you want to make prayer a habit, ask a trusted, believing friend to hold you accountable by checking in with you on a weekly basis: “How has your prayer time been? How can I pray for you in that regard?” See if you might hold them accountable as well. At this point, some of you might be feeling discouraged because you haven’t sought to make a habit of prayer. Friends, because of Christ, you can lift your drooping heads and strengthen your weak knees—it’s never too late to start! God delights to provide for us the desire, motivation, and ability to commune with him in prayer, and he has secured this high privilege for you to draw near through the sacrifice of his Son. You’re never too late, nor is God ever too far away. Prayer is a gift and, through his strength, it can become a habit for you. This article originally appeared on UnlockingTheBible.org. Used with permission. 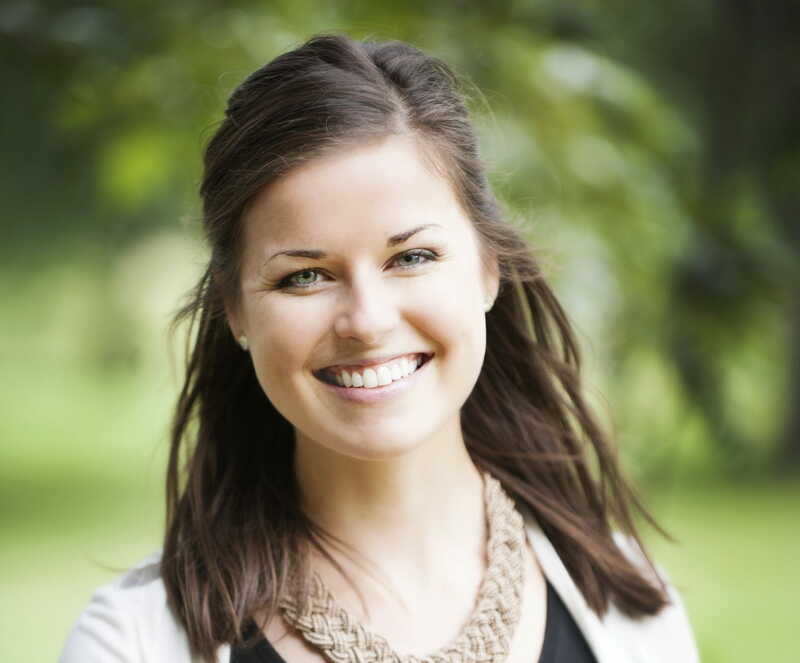 Kristen Wetherell is a writer, Bible teacher, and the content manager of Unlocking the Bible. She is the author, along with Sarah Walton, of Hope When It Hurts: Biblical Reflections to Help You Grasp God’s Purpose in Your Suffering (The Good Book Company, April 2017). She blogs at her website, and you can follow her on Twitter. She and her husband, Brad, are members of The Orchard in Arlington Heights, Illinois. Connect with Kristen at her website.